The Lincoln Continental tends to get lost in today's sea of luxury sedans. Nevertheless, it remains a solid option for the drivers who are looking for a big, luxurious car. Drivers like the Continental's retro styling and strong kick under the hood. Although the Continental may not get as much attention as its European rivals, it stacks up well in several critical categories. Let's find out why you should give the new Continental a shot. To help the Continental to stay close to the competition, Lincoln has loaded it with more standard driver-assist safety technologies. A few new paint colors are available as well. If you simply need more brawn under the hood, choose the larger EcoBoost V6 engine. It definitely develops enough power to compete against perennial favorites like the BMW 5-Series. With a total of 400 horsepower on tap, you'll have plenty of oomph at all speeds. When accelerating onto the interstate, you should be able to reach 60 mph in around 5.0 seconds. This is not a bad time for a large sedan that weighs more 4,500 pounds. There are definitely sportier luxury sedans on today's market. Nevertheless, the 2019 Lincoln Continental does feel stable. Drivers will have no issues with the Continental's ability to perform on curvy roads. Although front-wheel drive comes standard, Lincoln's optional torque-vectoring AWD system really helps the Continental to stick to the asphalt. A variable-ratio steering system also enables you to confidently maneuver this big car in and out of congested areas. In comparison to other luxury cars like the 2019 BMW 7 Series and the 2019 Audi A7, the 2019 Lincoln Continental is a lot more affordable. Prices start at around $45,000. Although the Continental may not feel quite as extravagant on the inside, it's not too far off the mark. When riding in the base Continental Premium, there's no overlooking its plush atmosphere. Some of the nice standard features include an 8.0-inch touch screen with smartphone support, heated front seats, and a 10-speaker audio system. When it comes to curb appeal, the 2019 Lincoln Continental does not take a backseat to any of its European foes. While the base Continental has a handsome appearance, you'll find a few more special touches on the upper trims. Among the Continental's breathtaking styling cues is its gorgeous LED headlights. They look stunning even in the daytime. A striking grille also helps this sedan to leave a lasting impression. Optional 20-inch alloy wheels give the Continental the stance of a true performance car. While the 2019 Lincoln Continental is a cool car to drive, it's best known for delivering a superior degree of comfort. Your friends and family will certainly enjoy the rear sear's excess of legroom. This is the kind of car that deserves a chauffeur. While Lincoln's optional 30-way Perfect Position seats reward front passengers with enhanced comfort, you can satisfy folks sitting in the back with optional reclining seats. The Continental's ride quality is quite good as well. Ford's Sync 3 infotainment system is among the better interfaces on the market. It definitely makes the Continental a more fulfilling car. Not only does Sync 3 react quickly to your touch, but it also has very sharp graphics. The display operates just like a smartphone screen. Connecting your mobile device also only requires a few simple steps. The biggest news for 2019 is the arrival of a standard Co-Pilot360 safety package. It'll help you to better avoid danger on the road. While the blind-spot information system helps you to stay aware of oncoming traffic, forward collision warning with automatic emergency braking makes you less likely to crash into the back of another vehicle. Smart cruise control also now comes standard. When driving the 2019 Lincoln Continental, you will be able to clearly see your surroundings. Lincoln did a great job of minimizing the number of obstructions on the Continental. Nothing beats having a great perspective of the road. A sloping rear deck also helps ensure good visibility from the rear. Because blind-spot detection now comes standard, drivers will have an extra measure of security on packed highways. All trims come standard with a Lincoln Connect app. This features enables you to remotely lock/unlock and start the Continental. If you happen have parked in a crowded lot, you can use Lincoln Connect will help you to find your car. With an MSRP of roughly $45,000, the base 2019 Lincoln Continental is a steal for a premium luxury car. However, some trims still drift towards the expensive side. A fully loaded Black Label model will easily cost you more than $70,000. 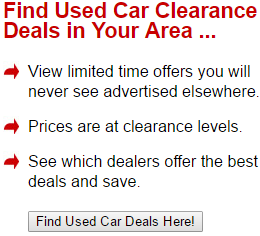 This may be more money than some car shoppers are willing to pay. If you stick with the base V6 engine, don't expect to experience a show-stopping performance. Although 305 horsepower may sound good on paper, it does not translate to the real world. Remember, the 2019 Lincoln Continental has a lot of weight to carry around. Models equipped with the base engine are no quicker than the typical family sedan. When you are taking a road trip with your family, you may start to crave just a bit more muscle. It's hard to call the 2019 Lincoln Continental a fuel guzzler. Nevertheless, drivers would appreciate better gas mileage. Unlike the Continental, some competitors have the ability to return more than 30 mpg on the freeway. Although stop-start engine technology helps conserve fuel in traffic, improved highway fuel efficiency would make the Continental a better car for long-distance traveling. On the bright side, you can feed this sedan regular unleaded. Unfortunately, the Continental has one of the segment's smaller trunks. This is a disappointment for the drivers who need space for their family's luggage. Some people will also not like the trunk's low-slung design. Lincoln deserves credit for adding a safety package on every new Continental. However, the collision system tends to deliver false warning. This issue could become a big annoyance for the drivers who spend a lot of time in heavy traffic. When looking at the 2019 Lincoln Continental, you should also consider the 2019 Genesis G90. Despite having a higher starting price, a spectacular warranty package gives the Genesis G90 a key advantage. The 2019 Lexus LS 500 is another full-size luxury sedan that you need to test drive. It's expected to deliver great long-term reliability. You will also benefit from the LS 500's better highway fuel economy and extra power. However, prices for the new LS 500 start at more than $75,000. Don't overlook the 2019 Volvo S90. 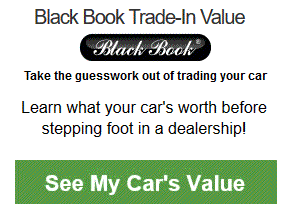 It has received outstanding reviews from automotive journalists. Reviewers praise the S90 for its fuel-efficient design and world-renowned safety features. Because the S90 is not as heavy as the Continental, it can get off the line quicker. Some people will simply prefer the Continental's cooler appearance. Although not a class leader, the 2019 Lincoln Continental is still a nice luxury sedan. 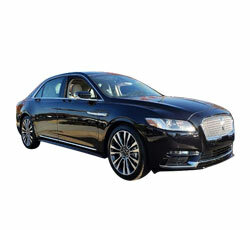 Aside from the Continental's eye-catching appearance, it also excels as a plush highway cruiser. If you can't handle the expense of the higher trims, don't hesitate to choose the base model. Before you buy a new 2019 Lincoln Continental, make sure it truly meets your expectations. • Why Buy a 2019 Lincoln Continental? • Why Buy a 2019 Lincoln MKC? • Why Buy a 2019 Lincoln MKT? • Why Buy a 2019 Lincoln MKZ? • Why Buy a 2019 Lincoln Nautilus? • Why Buy a 2019 Lincoln Navigator?